13 X 8 X 15"
Business owners can enjoy choosing trade show totes that will help their business image. These products are known to help a business look professional. Quality totes will get attention and will hold all sorts of trade show literature and promotional items. Custom trade show totes will always be a big hit with customers. They can be used during the trade show and after. 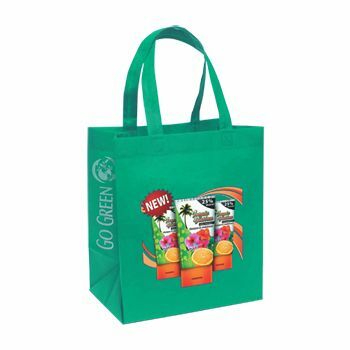 Shoppers can choose to have imprinted trade show totes that will help spread their business name and brand. 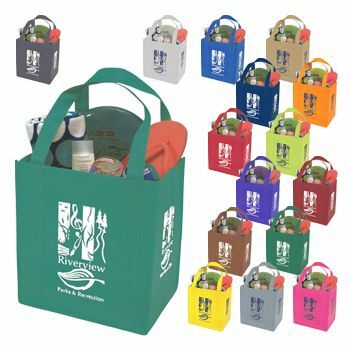 They can have personalized colors and images imprinted on bags that their customers can carry around with them. Custom printed trade show totes are a smart purchases for businesses of all sizes. Your source for Thunder Tote and Tote Bags.